Thanks for stopping by to take a peek! 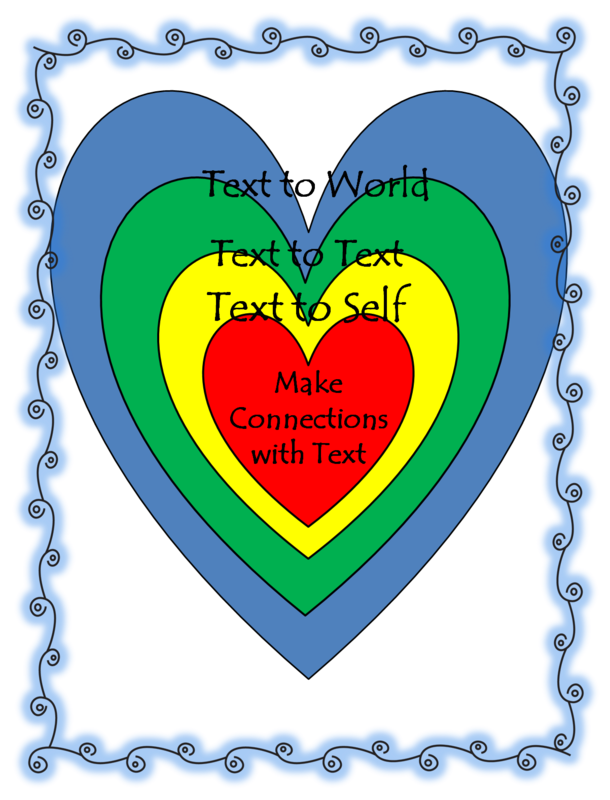 Here's another post on helping kids make the connections needed for super comprehension. A favorite resource of mine is "Reading With Meaning" by Debbie Miller. We can help kids deepen the level of comprehension by having them think about connections before, during, and after reading. Kids (and adults) bring tons of background knowledge (schema) into each new reading experience. 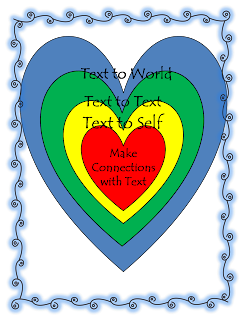 In her book, Debbie explains that schema helps readers make connections between text and self, text and another text, and text and the world. From the beginning of the year, at every opportunity, I try to help my kids consistently make those connections. This anchor chart reminds them that connections come from your heart schema! :) We should all read with not just our minds, but with our hearts! Let's keep those kids thinking and making those heart connections as they are reading! I love this, I'm pinning it, and I'm going to do it for next year. I teach fourth, and I love the color of it. I'd make it for this year, but I have a student teacher and she's "got" the class until May! Hi! 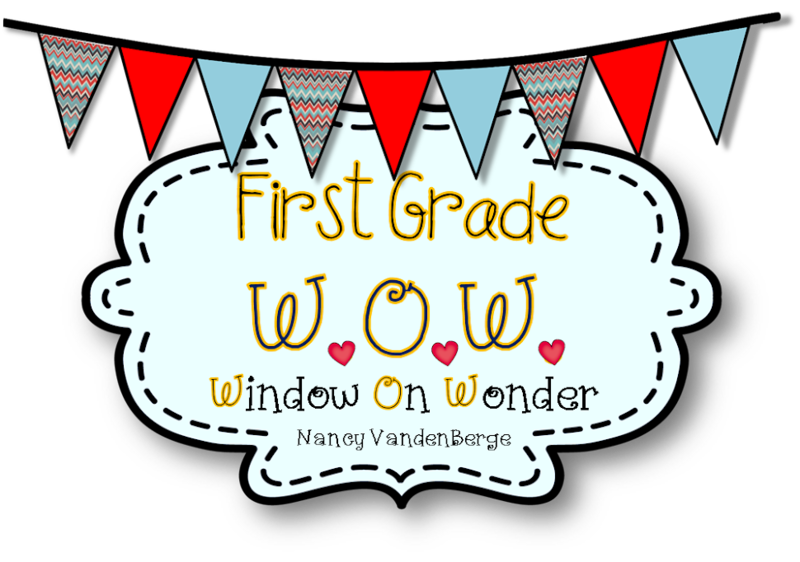 My name is Lacey and I'm a fellow teacher-blogger. :) I'm having a linky party for anchor charts, but there's a twist. I'm going to compile the pictures (complete with sources) into a PDF and offer it for free. I LOVE your blog and your charts and was hoping you would join me in this project! If you don't want to take the time to link up, I completely understand. But if you would be willing for me to include your charts I'd be happy to find the posts on your blog myself, but didn't want to do so and include them without permission. Like I said, there would be a link to the post I found the picture and full credit to you. Thanks for your contributions to the teacher blog community! :) I love seeing what you're doing in your classroom! This is a Great idea. I am going to do it with my students. Thanks for sharing. I can't download your poster without paying a fee. Would it be possible for you to send it to me. PS I am your newest follower. You have a great blog. I would really love to have this resource for my class. We are working on connections, and this would really support their learning. I can't download without a members fee however. We would like you to understand that buying wow gold from a seller online is very delicate before continuing: because it is not only costly but also stupidly your account may be banned indefinitely if they catch you for world of warcraft gold for sale . An average player of World of Warcraft thought of that too, so he decided to follow and study the rich wow po players every day until he learned how they did their gold and the secrets that it had updated the absolutely stunning. Small squares and commonplace around the map are actually hot spots of wow powerleveling waiting for stroke, which is the map that you usually walk right past.